Applications for the PhD Scholarships (2019 Entry) are now closed. 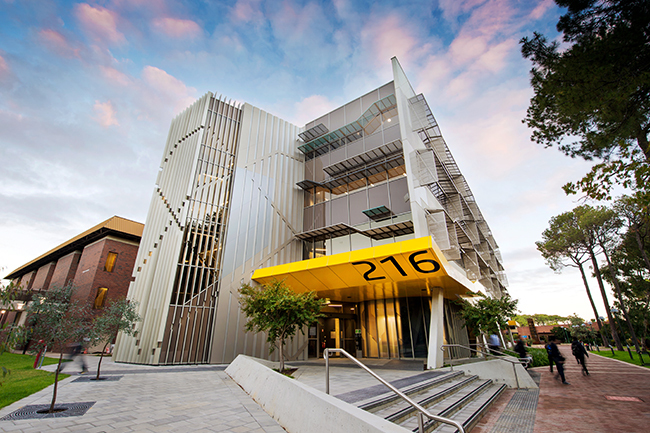 Please note: One PhD Scholarships (2019 Entry) is available at Curtin University under theme Engineering and Energy (Global Energy Institute) and Extended application deadline is 12 May 2019. The University of Aberdeen application deadline is 10 December 2018. Green economy transitions in tourism in the Margaret River region (WA, Australia). Informal inquiries can be made to Dr Piotr Niewiadomski (p.niewiadomski@abdn.ac.uk) with a copy of your curriculum vitae and cover letter. Artificial photosynthesis at liquid-liquid interfaces. Informal inquiries can be made to Professor Angel Cuesta Ciscar (angel.cuestaciscar@abdn.ac.uk) with a copy of your curriculum vitae and cover letter. Tailwater hydrokinetic turbines: performance and environmental impact. Informal inquiries can be made to Professor Vladimir Nikora (v.nikora@abdn.ac.uk) or Dr Stuart Cameron (s.cameron@abdn.ac.uk) with a copy of your curriculum vitae and cover letter. Extended application deadline is 12 May 2019. Collaborative PhD projects underway in the field of engineering and energy. “My topic involves studying decommissioned offshore oil and gas sites. I am hoping to develop a stakeholder-oriented, decision-making framework targeted at project managers of decommissioning projects. Topic overview: Our ability to interpret seismic reflection data depends on the quality of the velocity model used in the seismic processing. Natural salt deposits are preserved in many sedimentary basins worldwide and are often conspicuously present on seismic reflection surveys. In order to ‘listen through’ thick evaporite deposits to interpret the pre-salt structures at depth, we need to be confident in our seismic images and seismic velocity models. However, published velocity data for evaporites is rare and often confined to simple end member minerals (halite, gypsum, anhydrite). In addition, due to their low strength, natural ductile flow of many of these rocks results in strong petrofabrics that influence seismic velocity anisotropy. Real evaporitic deposits are polymineralic and their petrofabrics are relatively poorly studied, and consequently P- and S-wave velocity anisotropies not well constrained. Recent preliminary work at Aberdeen and Curtin has shown how simple combinations of evaporitic minerals and their crystallographic orientation can produce surprising seismic velocity anisotropy in rock salt (Vargas-Meleza et al., 2015, Journal of Structural Geology). However, the influences of mineralogy, phase distribution, grain size, shape, and crystallographic orientation on the velocity characteristics of natural rock salt are yet to be fully explored. Topic overview: Nanofluids are suspensions of nano-sized solid particles used to enhance the heat transfer properties of fluids. The small size of the particles avoids the typical drawbacks of solid suspensions and can yield massive enhancements of the thermal conductivity (e.g., 40% increases for only 0.3% nanoparticles by volume). Current models fall short of explaining these effects and yet nanofluids could revolutionise all industries, including refining and power generation, by dramatically increasing thermal performance. This project provides a new framework under which new nanofluids can be designed and optimised. It uses a unique hybrid kinetic-theory/hydrodynamics model which integrates all critical scales of the problem. This allows a universal description of nanofluids and could open new fields of nanofluid research. Topic overview: Marine risers are critical components of offshore oil and gas operations linking subsea fields with equipment atop fixed or floating facilities. They transport hydrocarbons and production materials and their integrity is vital to production continuity and environmental safety. But these systems operate under significant loads from waves, currents, internal overpressure or depressurisation, accidental impacts from vessels or ice, and in harsh environments in contact with corrosive fluids. Hence, they often suffer from various types of damage including fatigue cracking, corrosion, wear, erosion, sheath collapse and unlocking, and damage to clamps and hold-downs. For mature fields, such as the North Sea, there is a large stock of risers that have long been in operation and will have accumulated damage. Inspecting risers visually or with non-destructive testing tools is difficult and costly. Utilizing structural vibration data from ambient excitations can be more efficient since vibrations are affected by changes in stiffness, mass or energy dissipation of the system, which are altered by damage. However, their potential for riser monitoring has been poorly explored yet, and this project will address the gap in knowledge, with the practical aim of reducing inspection and maintenance costs while increasing reliability and integrity. The outcomes will comprise novel, advanced and practical algorithms for vibration damage detection in marine risers. They will be verified via extensive numerical and laboratory studies. Topic overview: Among the main thermochemical biomass conversion technologies, pyrolysis, producing high energy density liquids, is especially attractive for the production of chemicals and fuels, while gasification is highly efficient as a power generation technology. Bio-oil, the liquid product of pyrolysis, can be reformed with steam to produce hydrogen, the latter either being utilised as an energy carrier or used to further upgrade bio-oils to biofuels and chemicals through hydrodeoxygenation. Similarly, tars, the volatile products of gasification, need to be reformed, in situ or downstream, to enhance the efficiency of the process. The project will focus on the experimental and computational investigation of the reforming of the, chemically similar, bio-oils and tar, with outcomes enabling the implementation and commercialization of highly efficient, biomass conversion systems. A variety of experimental activities using bench-scale reactors and modern analytical facilities will be carried out to study the effects of key operating parameters, including the role of the catalyst, on the conversion of the tars and bio-oils. The obtained data will be used for the development of a (micro) kinetic model aiming at the elucidation of the mechanistic details of the reforming reactions.